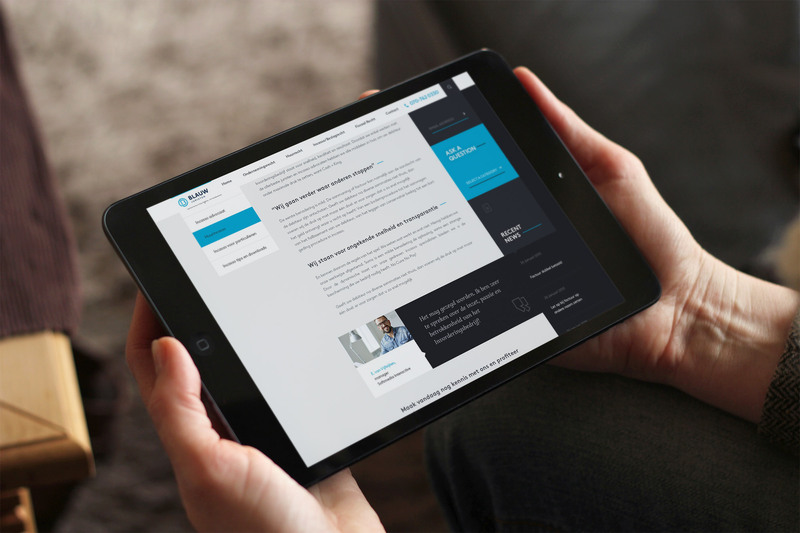 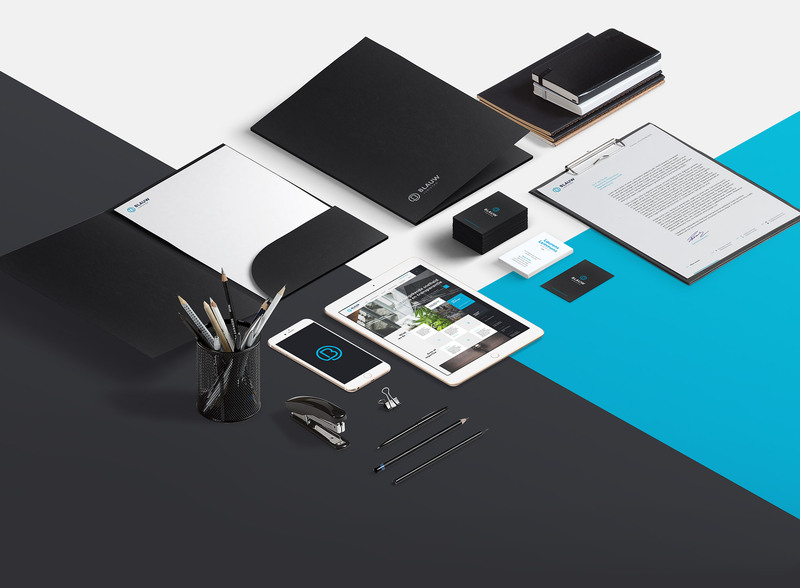 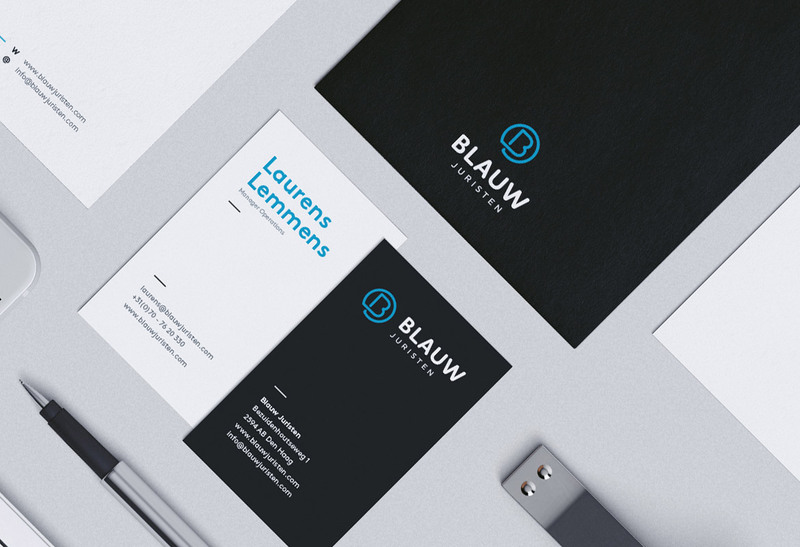 Sophisticated branding and grid based website. 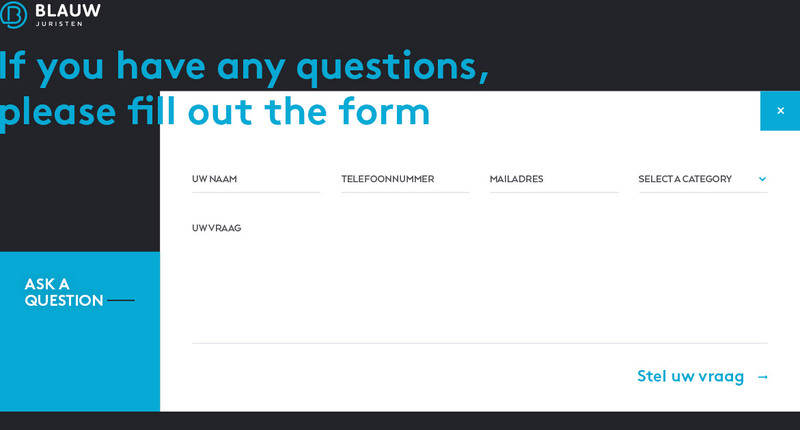 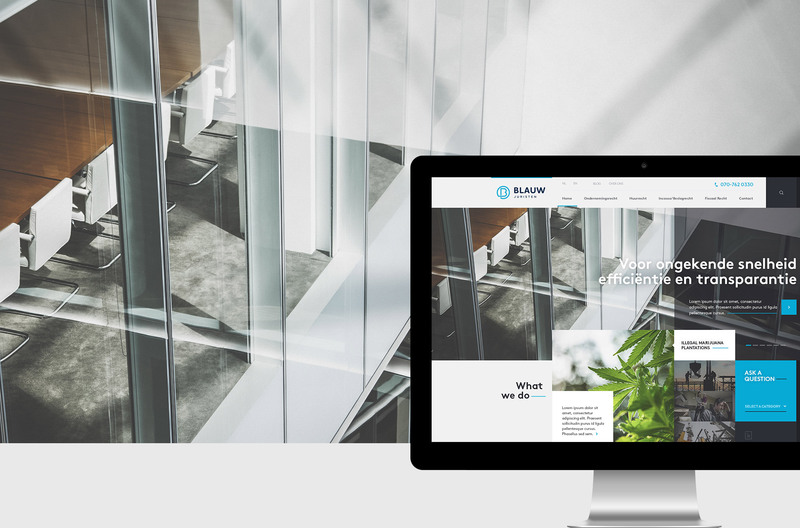 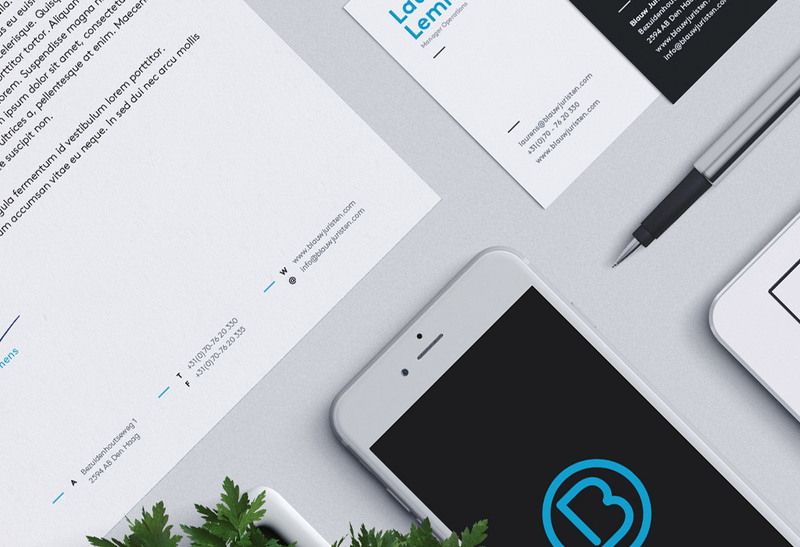 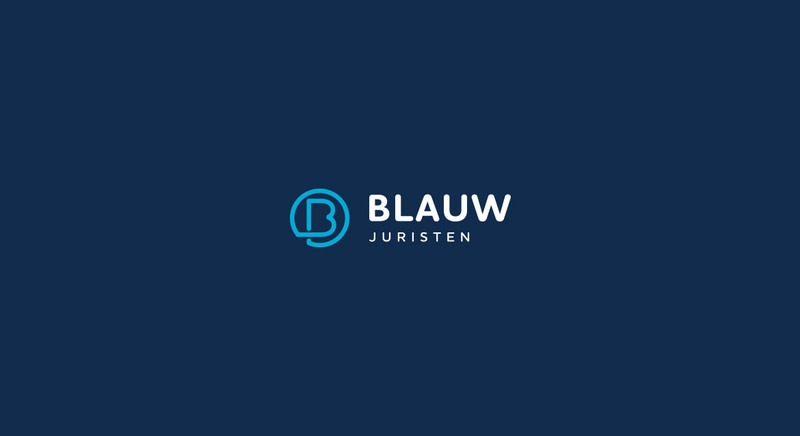 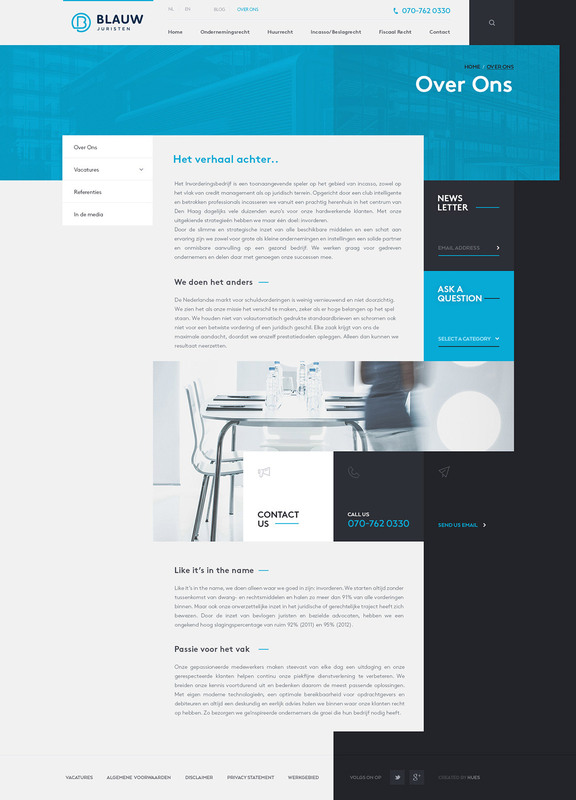 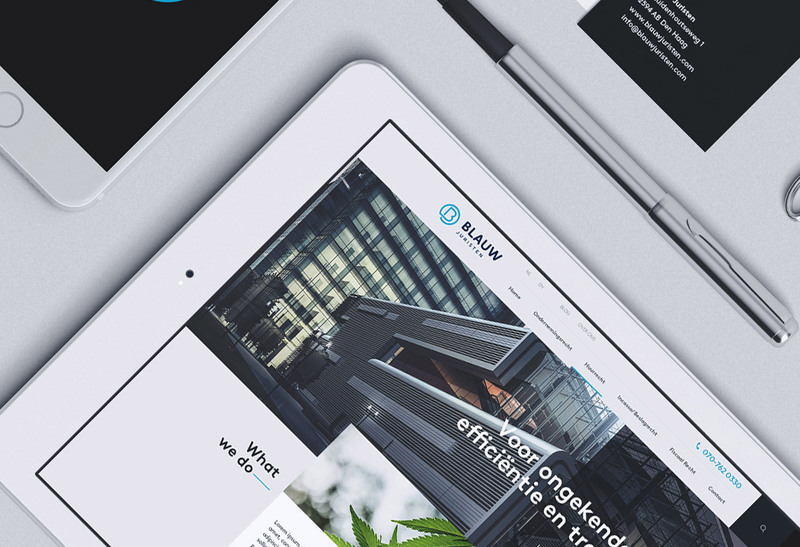 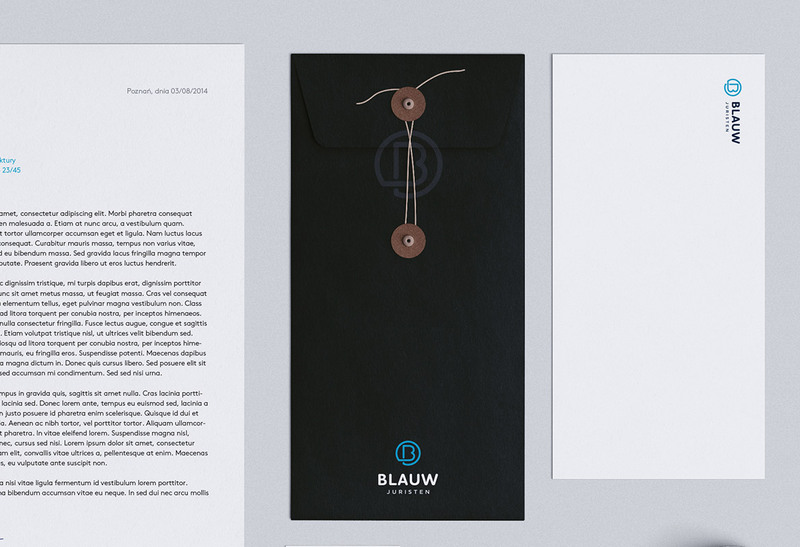 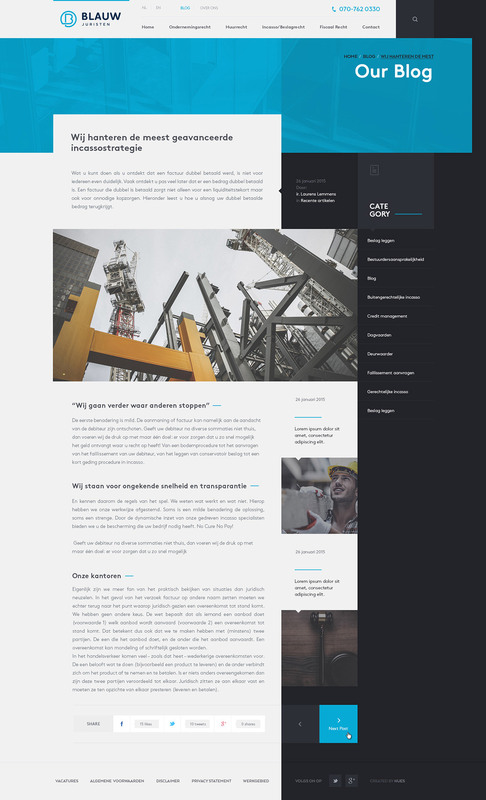 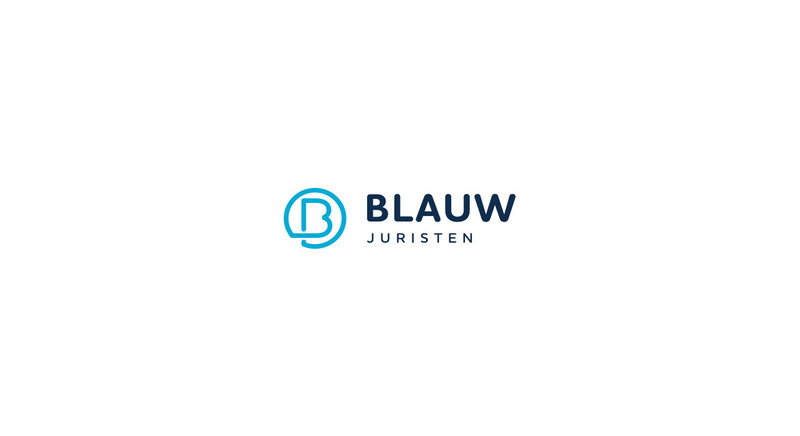 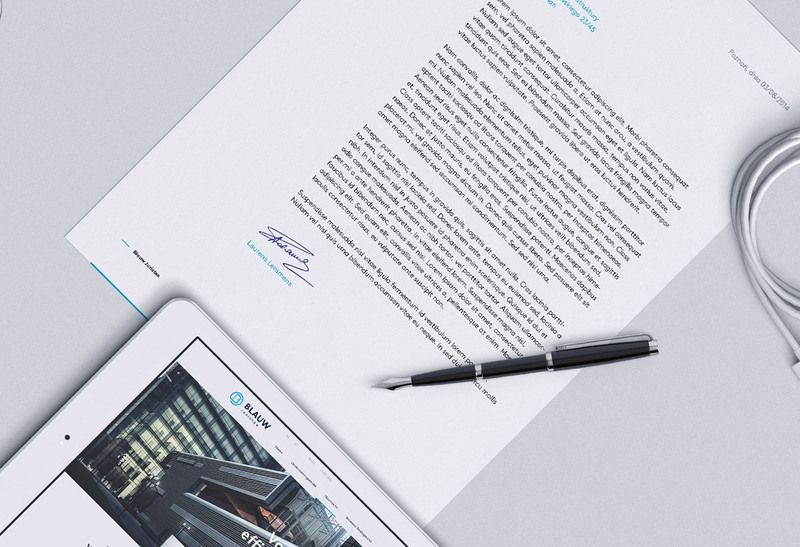 The Dutch company Invorderingsbedrijf asked me to design the branding and website for their new company - Blauw Juristen, which directly translated means Blue Lawyers. 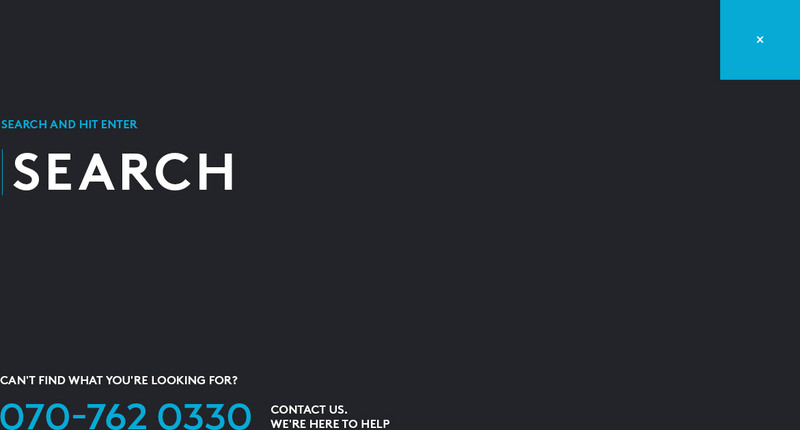 My work started with market and trends research. 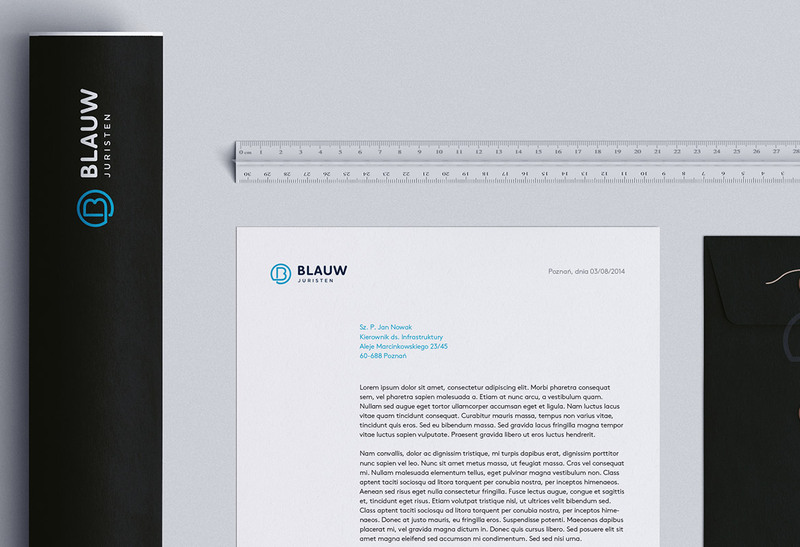 Created sign is the essence of simplicity, clarity and its bases on the first letter of the company name. 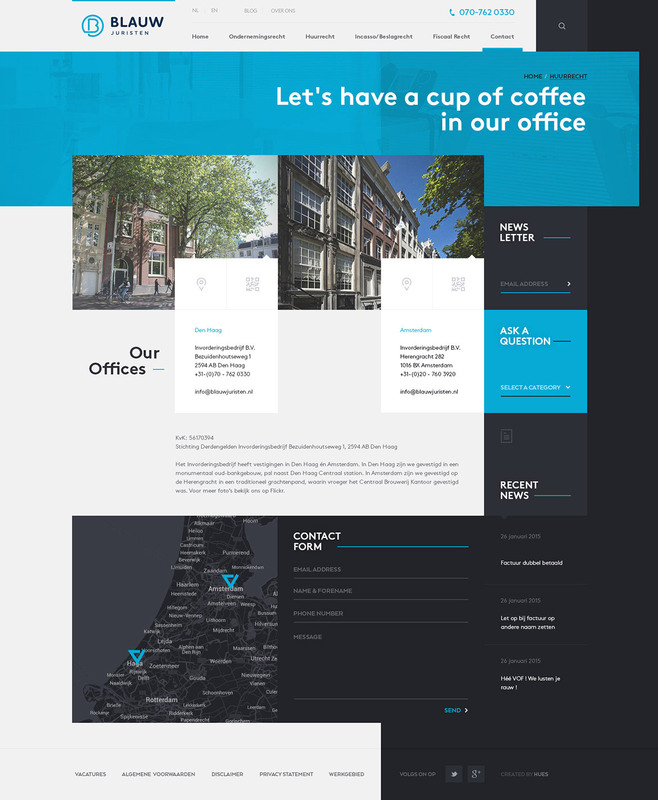 The idea of website design is simple and is based on the shape of a rectangle of a certain size, which duplicated in an appropriate manner laid in successive elements. 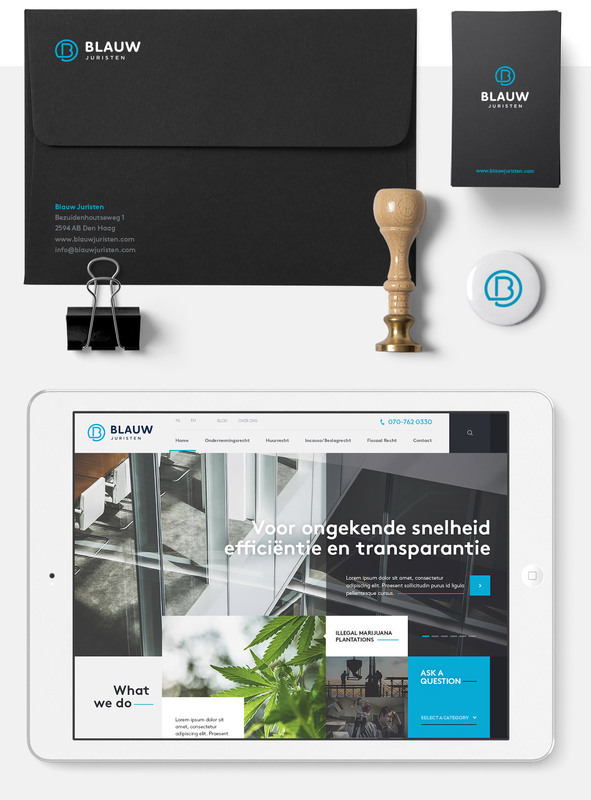 Despite the large number of elements on the home page service must remain clear and transparent, so as to decisively distinguish the brand from the competition. 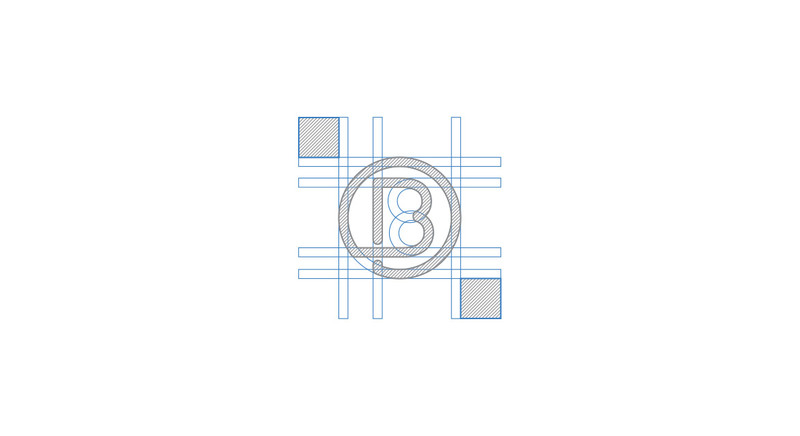 Grid was created on the basis of one element which the respective amplification made it possible to create all other elements. 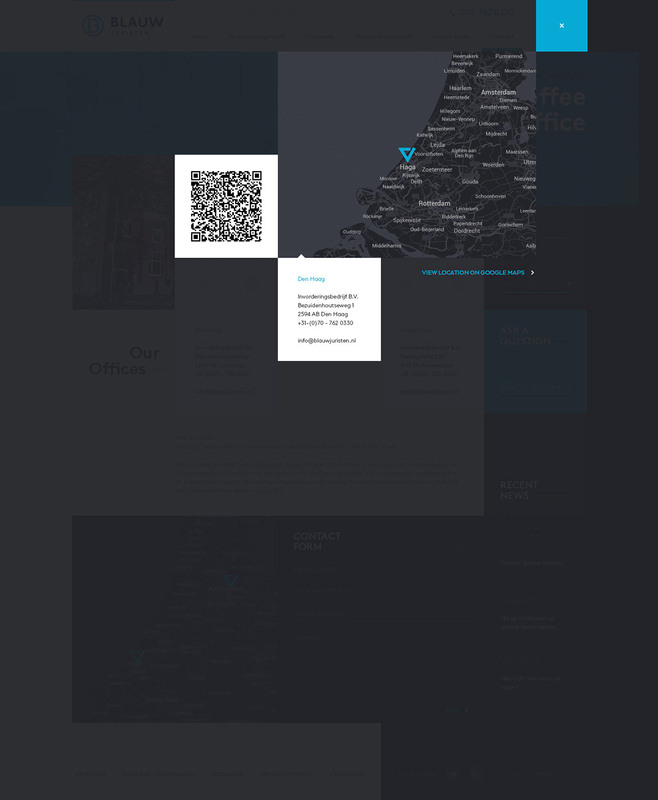 Grid was used later to create other pages. 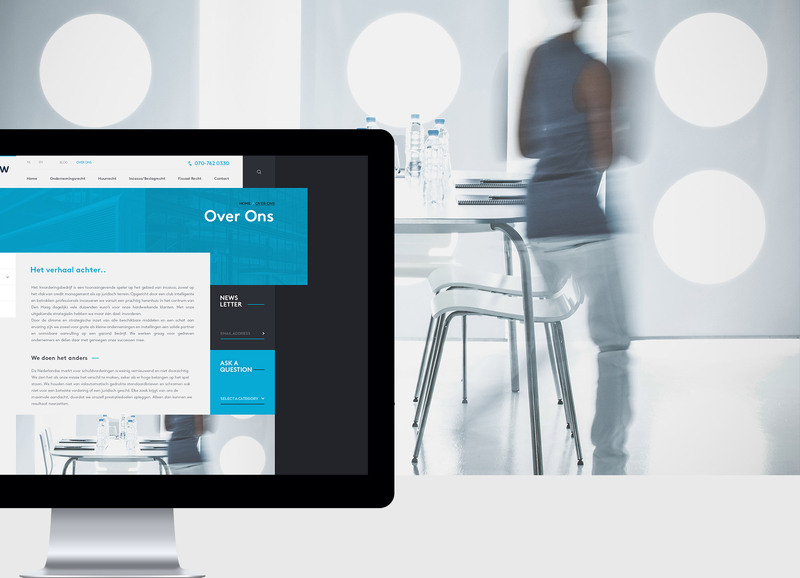 The premise of blog page was simple - a standard appearance so that even older people could use it without a problem. 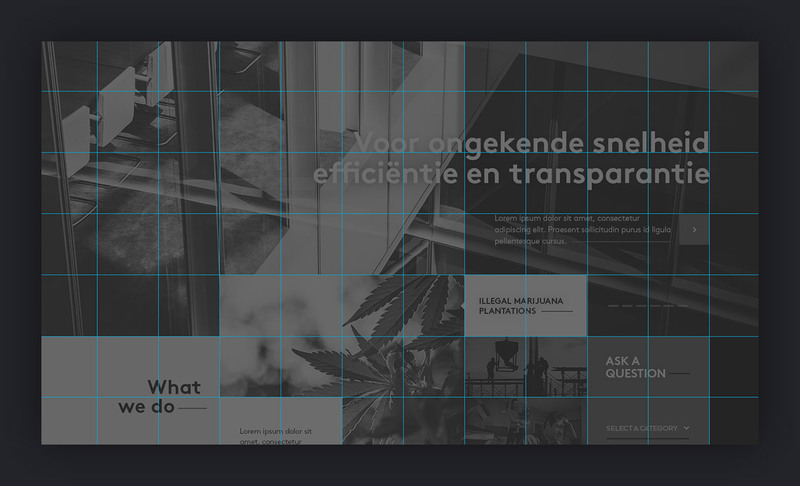 I would not be me if I did not improved this solution for a custom arrangement of text, photos and build everything on the basis of grid.